As triple j announced the details of its Hottest 100 of 2018 this morning, its more mature sibling Double J revealed it will replay the Hottest 100 of 1998 in January 2019. 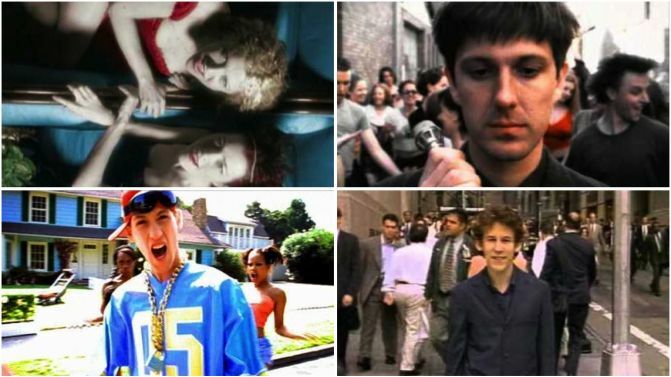 After triple j drops its listeners’ 100 favourite songs of 2018 on Sunday, 27th January 2019, Double J will relive the 1998’s biggest tracks from 10am AEDT on Monday, 28th January, which will be observed as a national public holiday in 2019. It comes after Double J replayed the 1997 Hottest 100 (widely considered to be the most popular Hottest 100 of all time) last year, continuing a tradition which saw the station replay the 1996 Hottest 100 in 2017. The Offspring’s ‘Pretty Fly (For A White Guy)’ topped the Hottest 100 of 1998, beating out hits by the likes of Ben Lee, Custard, Hole, Korn, Regurgitator, Jebediah, Powderfinger, You Am I and The Living End, who all made the top 10. Garbage, Grinspoon, Jebediah, The Living End, Pearl Jam and The Whitlams all had three songs in the countdown, however Regurgitator frontman Quan Yeomans was the best performing artist overall, featuring six times: four times with Regurgitator and twice with Happyland. Relive the full list of songs, below. Kendrick Lamar claimed first place in the Hottest 100 of 2017 with his huge hit ‘HUMBLE.’, becoming the first person of colour to top the countdown. Voting for the Hottest 100 of 2018 will open at 8am AEDT Monday, 10th December, and will close at 9am AEDT Tuesday, 22nd January. Read all the countdown details right here.